I can't believe it - I've cooked a baby to full-term! In addition to this, I've had more frequent Braxton Hicks. 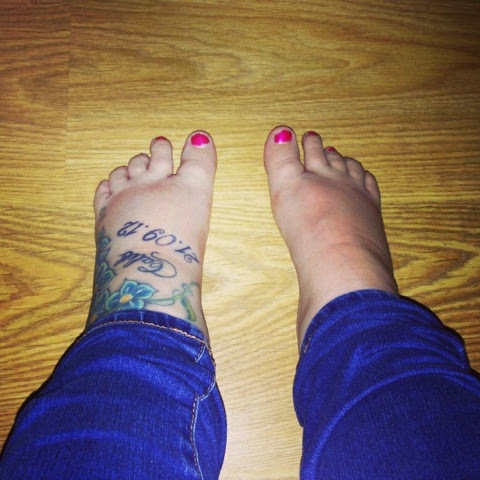 My feet and ankles seem to have swollen quite a bit too and they just get worse as the evening goes on. I'm not sure if my bump picture shows, but I do feel like the baby is lower down now. I'm feeling constant pressure down below (almost as if my waters could go at any minute!) and the pain in my rib is gone. I'm guessing that this is because she is moving down and getting ready to be born. At this stage the baby weighs around 2.8kg and measures roughly 49cm from head to toe. Now, not much is happening in way of development. It's just a waiting game now! 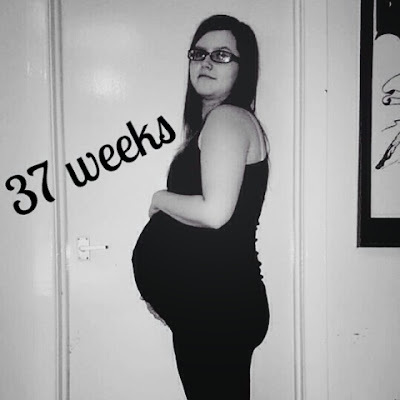 1 comment on "My Second Pregnancy: 37 Week Bump Update"